Mentors are a vital resource for our teams and are essential to our programs. Along with their expertise in a robotics or business related field, they also help simulate a work environment through helping us schedule, meet deadlines and act professional. Promoting safety is also an important part of a mentor's job. 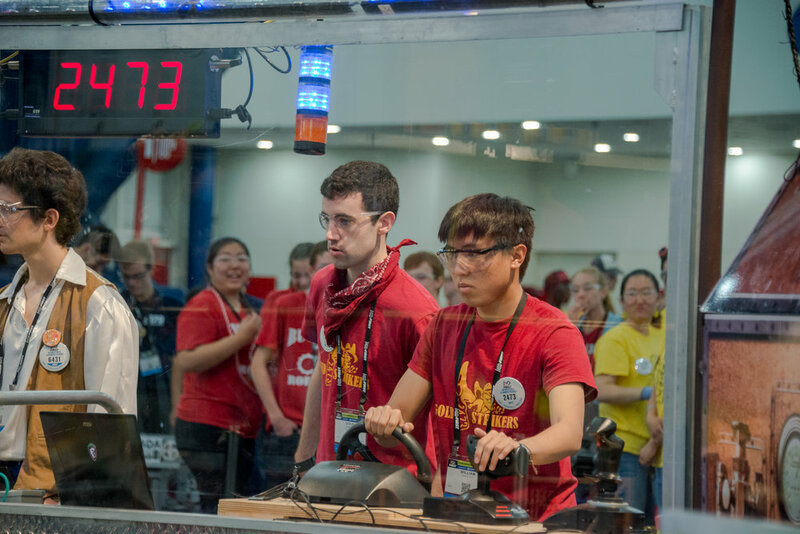 Mentors are in no way "stuck" to one part of robotics. All our mentors often circulate between all parts and divisions of our team helping anyone they can. They also do not have to commit to being there at every meeting and competition. Any time that mentors are willing to spend with us is greatly appreciated. Software mentors need to have certain skills as the software team is split into R&D and robot teams. For the robot, knowledge of front end design, code documentation and tutorial building, and also JavaFX and Android skills is necessary. For R&D more pure CS skills in Java, such as threading such, and there is also a lot of room for people interested in deep learning and ai algorithms in Python, as we have ambitions to use Nvidia’s Jetson in the best capacity we can this year and years beyond. What we also ultimately hope to learn from the mentors is testing procedures: how we can give our software quality assurance. For Electrical Mentors, we would like with prior experience in dealing with FIRST Control and Electrical Systems. An extensive knowledge in circuits, wire management, electrical design, and pneumatics is highly desired. We need a mentor with experience in programs like Solidworks Electrical and the ability to teach this knowledge to younger roboticists. Hardware mentors preferably should have prior experience with the FIRST organization and build systemization. In addition, a thorough understanding of mechanical engineering and effectively communicating it to high schoolers is a must. Having knowledge in CAD is also a strong suite. Most important is having a positive and constructive outlook on the engineering process, supporting high school engineers with respect, kindness, and understanding. As a finance mentor for Cupertino Robotics, prior experience with excel and management would be preferred, especially someone who is able to work well with high school students and help create infrastructure for our business team.